Birds can be enjoyed in a wide variety of ways. Those of us who chase rare birds for our counties, states, or other human-made geographical distinctions watch birds for more reasons than the twitch. For example, we might just enjoy the calls and antics of those White-throated Sparrows while searching for a Harris’s. Most folks who live for a twitch also marvel over a flock of Evening Grosbeaks bounding through winter skies, and love the goldfinches that frequent a backyard feeder. Those who only raise binoculars within their own backyards might also decide one day to venture further afield to look for the ones in the field guides that aren’t making it into their limited sphere of birding. Personally, I enjoy birds in every way. I like to look out the morning window and watch the Chestnut-collared Swifts scythe the air with the swallows. I dig the foraging postures of migrant wood-warblers just as much as their eye-catching colors and patterns; the blend is poetry in motion. endure for ground-cuckoos, staring cat-like into the dim depths of rainforest, I am grateful to help cater to their birding needs. It’s all good in the birding hood no matter where one raises the bins but in Costa Rica, it’s easy to get spoiled by diversity. 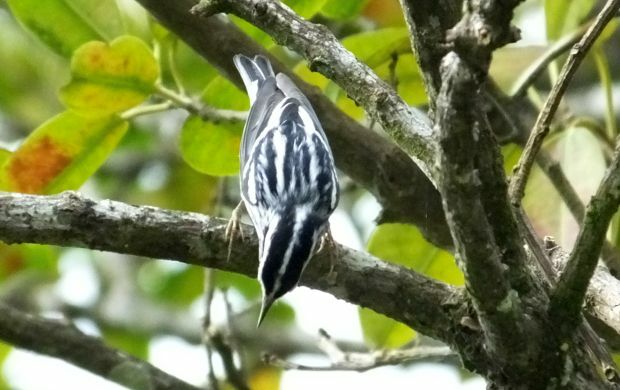 Since the country has literally hundreds of bird species, it’s all too easy to try for just ten more, see if you can identify more than the previous day, week, or year. Recently, while guiding ABA 2017 Big Year winner Yve Nagy Morrell in Costa Rica for a handful of days, we found ourselves trying for just a few more. After a bird rich morning at Cope’s. Although we didn’t start out the birding that way, on the third day, we did find ourselves wondering if we were approaching 300 species. Surpassing that goal turned out to be quite easy even with substantial rain, stopping to enjoy lunches and not using every second of the day for birding. 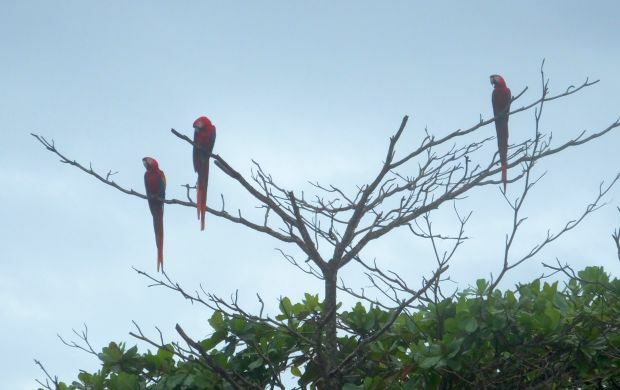 That’s also no surprise for Costa Rica because this bio-rich country has the benefit of easy access to multiple bird-rich habitats within a small area. After seeing the rare, endemic, and major target Cabanis’s Ground-Sparrow on the first afternoon, the coast was clear to look for lots more birds. Mountains beckon just north of the airport and that’s where we ventured for a host of hummingbirds, Furnarids, wood-warblers, and other species, many of which only occur in the highlands of Costa Rica and Panama. It was an easy-going fine day of birding along Route 126 (the Via Endemica) that gave us a high percentage of species not occurring at other sites we ended up visiting. 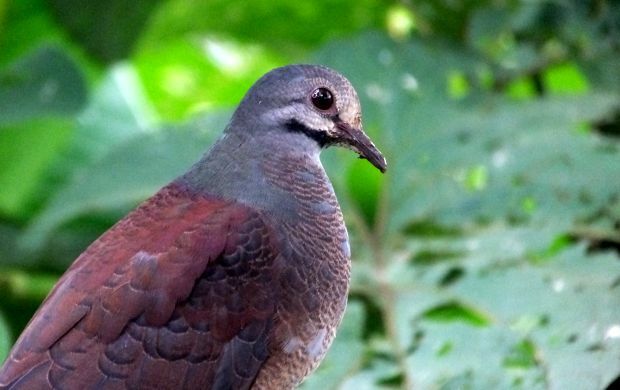 Buff-fronted Quail-Dove was one of several nice birds seen along with Black-crested Coquette, Scaly-throated Foliage-gleaner, White-bellied Mountain-gem and maybe a 100 others. The next day saw us making our way to El Tapir for close views of the Snowcap, a surreal fairy of a creature that stands out in an already surreal family. A few other birds also showed, highlights including a tree full of screeching Mealy Parrots but other birding experiences par excellence were waiting in the wings. 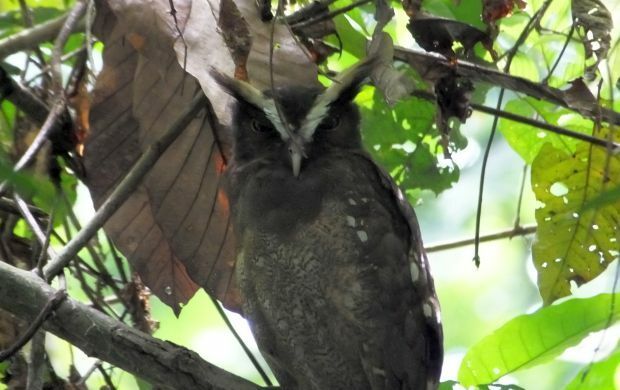 Those happened in the form of a visit to Cope’s where we were treated to a nice selection of lowland species at close focus length in Jose’s birding oasis followed by soul satisfying views of roosting Spectacled and Crested Owls. After Cope’s and lunch at a nearby, new bird photography set-up, Guarumo Lodge, we returned to the foothill zone. Although rain diminished a fair percentage of our birding time, much to our happy chagrin, we still managed two more species of quail-doves (Olive-backed and Ruddy), both White-crowned and White-ruffed Manakins, and Black-headed Nightingale-Thrush among a few other species at Quebrada Gonzalez. Whether shooting for 300 in three days or just into fantastic birding, a visit to Carara and vicinity is much recommended. Only an hour and a half drive from San Jose, this major intersection of bio-craziness never fails to deliver. 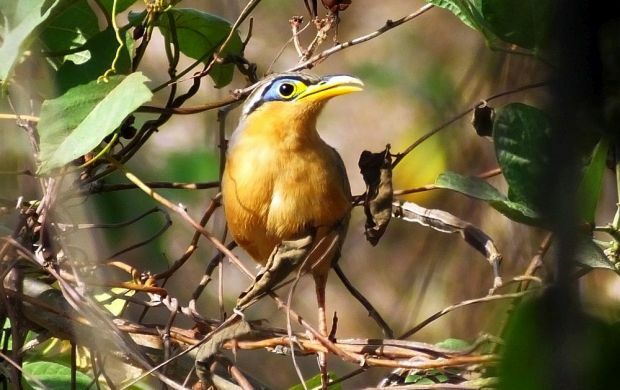 We started with beautiful views of dry forest species like Turquoise-browed Motmot, Lesser Ground-Cuckoo, the endangered Yellow-naped Parrot, and one distant Double-striped Thick-Knee before venturing into the national park. Although the rainforests in the park did give us some birds (and they were key ones like Black-hooded Antshrike and White-whiskered Puffbird), clouds overcame the sunny skies in a matter of minutes and the resultant rains erased some of our birding time. At least a lot of the rain stopped after lunch and that’s when we wondered how close we were to hitting 300 species. It turns out we were close enough to make it happen and we began the countdown with common, widespread waterbirds hanging with Northern Jacana and some other tropical species in the Tarcoles area. As is typical for Carara and birdy Costa Rica, the birds kept on coming including a brief bonus fly-by of a Pearl Kite, a fair selection of shorebirds in nearly one fell swoop, and Black-headed and Gartered Trogons giving stunning close views along with some other species. 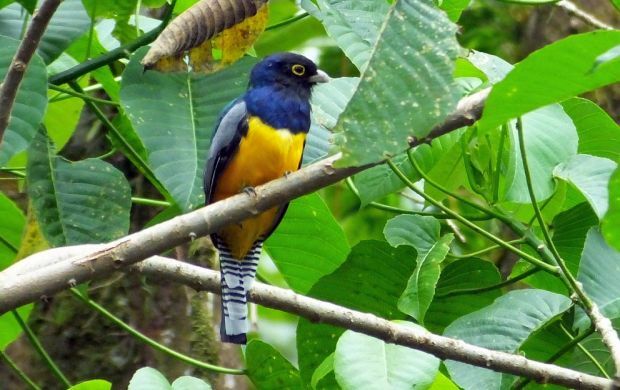 One of the trogons, this one a male Gartered. To finish off the day, we drove up to the Pura Vida Gardens area, a site above and next to Carara National Park that can be good for a variety of species. Although a few of the key birds failed to appear, we still added several birds including Scaly-breasted Hummingbird, Yellow-crowned Tyrannulet, and others before the rains returned. Our final total for three days and an afternoon was at least 320 species, a healthy total given some rain out time each day as well as taking it fairly easy with the birding. If a birder in Costa Rica plays the birding cards right, heck, he or she might even hit 300 in a day. It’s not easy, nor is it straightforward and the traffic deities have got to be in your rich favor but it can and has been done. 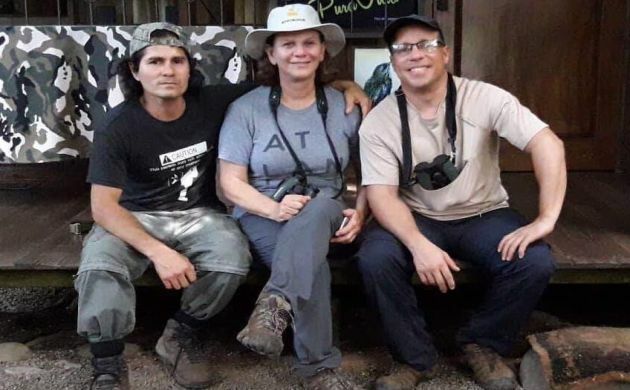 In fact the current Big Day record holders for Costa Rica, Ernesto Carman, Jairo Jimenez, and Paz Irola, have done two different day where more than 345 species were identified! What a list! That is one gorgeous Ground-Cuckoo. WOW!! makes my 351 in 15 days seem like such a paltry amount! I guess this is just all the more reason to find a way to get back down there! @Mike- A cool bird indeed, come back down and we will see that and lots more. @Tom- Nothing paltry about more than 350 species especially many of the choice birds you saw! Yes, always good reasons to come back to Costa Rica.